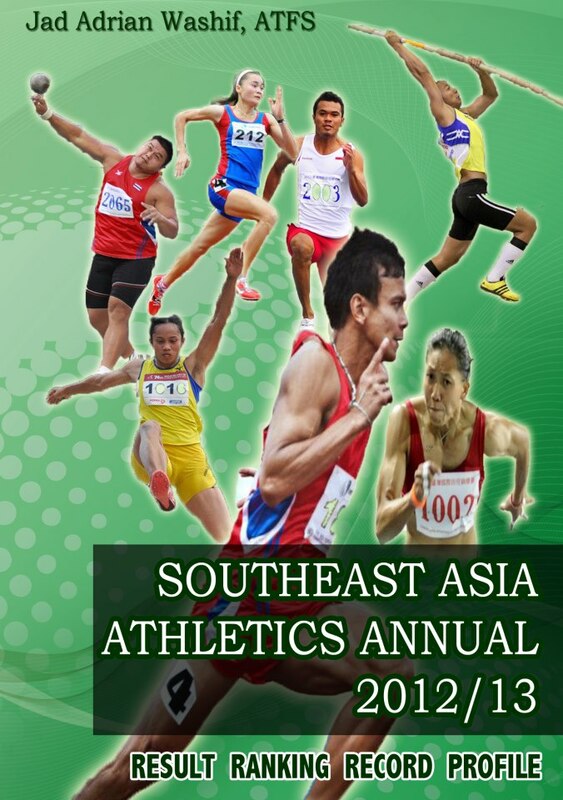 Malaysia's Sebastian Lee Azcona and Thailand's Nittaya Chasuree completed sprint trebles at 3rd Asean Schools Games (ASG) in Singapore after winning the 100m, 200m and 4x100m in the boys and girls categories respectively. In the first day yesterday, Sebastian topped the sprint century in 10.97s, defeating two Singaporean sprinters and wins the 200m today in 21.93s (PB), upsetting another host sprinter Ng Chin Hui in second place (22.05s). He teamed-up in the 4x100m and once again excelled with another gold medal in 41.80s. Meanwhile Nittaya Chasuree clocked 12.18s to win the girls 100m in an easy race, and after that rewritten the 200m meet record 24.88s set by Supawan Thipat last year with a new mark of 24.74s during the semifinals. In the finals she manage to win gold medal but clocking slower time 24.82s. Her third gold came from the 4x100m relays, setting 46.56s. The 15-year-old Noor Shahidatun Nadia was unlikely competing against her real opponents in the Asean schools. 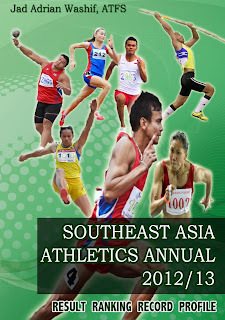 During the 2010 edition in Kuala Lumpur she already won the gold medal in long jump at age of 14. With a personal record of 6.11m, she outclassed the long jump fields at the first day with a golden leap of 5.99m. She repeated the success when she won another gold at triple jump today with a distance of 12.21m. Another outstanding performance was in the boys' 400m hurdles. Mohd Baihaqi Razlan of Malaysia set 52.64s in a solo run and eclipsed his own games record 52.95s. Silver medalist Leo Maholtra of Indonesia was more than 1.2 seconds behind. 200m: 1 Sebastian Lee Azcona, MAS, 21.93s. 2, Ng Chin Hui SIN, 22.05s. 3, Bandit Chuangchai, THA, 22.25s. 400mh: 1 Mohd Baihaqi Bin Razlan, MAS, 52.64s (GR). 2, Rio Maholtra, INA, 53.88S. 3, Hamdan Maasi INA, 53.98s. 5000m: 1, Le Trong Giang, VIE, 15:35.32 (GR). 2 Shoim Khamid, INA, 15:46.12 (GR). 3, Nattawut Innum THA, 16:00.61s. Long Jump: 1, Noval, INA, 7.31m. 2, Nguyen Van Thuan, VIE, 7.02m. 3, Mohd Fahmi Bin Meslan, MAS, 6.95m. Shot Put: 1, Wong Kai Yuen, SIN, 18.63m (GR). 2, Thawat Khachin, THA, 17.16 (GR). 3, Brian Koh Zhe Ming, SIN, 14.45m. Javelin Throw: 1, Nasrun Sibela, INA, 59.75m. 2, Chachawin Nameephol, THA, 58.11m. 3, Efraem Gesulgon, PHI, 57.58m. 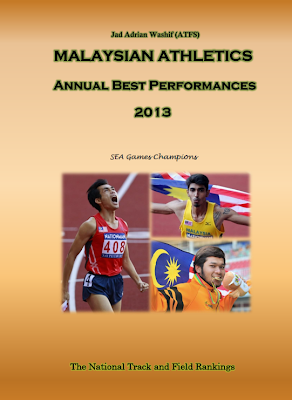 4x100m: 1, Malaysia, 41.80s. 2, Indonesia, 41.83s. 3, Singapore, 42.01s. 200m: 1 Nittaya Chasuree THA 24.82 (SF 24.74s GR). 2, Zaidatul Husna Zulkifli MAS, 25.07s. 3, Zaidatul Husniah Zulkifli, MAS, 5.10s. 400mh: 1 Nguyen Thi Huyen VIE, 61.60s (GR). 2, Le Binh Dinh VIE, 63.72s. 3, Alfina Tuhupeory, INA, 63.77s. 3000m: 1, Nguyen Thi Bich Tram, VIE, 10:31.87s. 2, Nguyen Thi Lien, VIE, 10:36.50s. 3, Kitsana Toentuan THA, 10:51.53s. Triple Jump: 1, Noor Shahidatun Nadia Mohd Zuki, MAS, 12.21m. 2, Titi Janiati INA, 11.67m. 3, Nguyen Thi Tuoi, VIE, 11.54m. 4x100m: 1, Thailand, 46.56s. 2, Singapore, 47.70. 3s, Malaysia, 47.88s.